In my mind, I said a good-natured, if somewhat superstitious, thing. She, however, realized before I did that blessings, even in simple, everyday ways, are a religious act. She understood an implied “God bless you,” and that offended her. Even though I had spoken as a reflex, I introduced a worldview into our brief interaction. I expressed both a belief in a benefactor and a supposition that He can improve things. On the positive side of things, I wished good toward her. On the negative, she inferred that I found her, or her situation, lacking in some way or in need. Because of a dwindling cultural impulse toward sharing gesundheit, which is German for “good health to you,” a sneeze became a quasi-religious moment. Words are not always received well! Blessings are not always understood. Blessings are not always wanted. Blessings are not determined by the receiver. Blessings are positive or well-intended but call upon One with higher power. Blessings imply a relationship between the powerful One and the giver. Whether words are religious or not, they are part of language, and language is a good gift of God. It is not the simplest gift to understand, as the tower of Babel illustrates and explains (Genesis 11). Unified and inspiring, man can use language to do almost anything (Genesis 11:6), yet at times it seems more than we can handle. Linguists and translators have approaches, systems, and philosophies toward understanding and deciphering language, and we are very much blessed by their dedication to their fields. These are fields of science, where careful attention and analysis form hypotheses, arguments, experiments, and conclusions. Thanks be to God that even unbelieving linguists have contributed to the continuity of Scripture and brought the Bible into our hands. . . . Context matters. I said, “Bless you,” and while I thought it was a generally safe expression, it made the woman angry. She very much felt I had imposed my religious beliefs upon her. The context at large now is a society in which gay marriage and Planned Parenthood are blessed freely, but blessing a sneeze can be too religious to welcome. Even beyond mincing or misusing religious terminology, non-Christians loudly denounce, “That isn’t Christian!” without ever having read Scripture or attended a Christian church service. Words are so stripped of their context that “God is love” becomes an ungodly excuse to do whatever feels pleasurable. It is no wonder, then, that people can have such diverse reactions to Christian terminology. Christians themselves may disagree on meaning, application, and significance of nearly anything. And if the sacred Scriptures ultimately boil down to “How I personally see things,” unbelievers have even less reason to listen to the Bible passages people are so prone to throw their way. Society joins Pontius Pilate in asking, “What is truth?” (John 18:38). All sorts of words are abused, particularly words in the Bible, as sinners wrestle with God’s revelations on sin and salvation. Many simply want words to mean something else (i.e., marriage, love, fetus, sin, grace). But ours is a God who binds Himself to us through His Word, both spoken and incarnate. He is the great I am (Exodus 3:14). He is the definition of love (1 John 4:8). He is the Author of life (Acts 3:15). 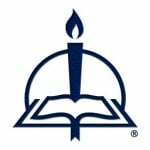 The triune God sends, embodies, and testifies concerning His Word, which creates and sustains. By His own working, believers do not need to add anything to Scripture: God has already granted meaning to the text. The Holy Spirit gives the Bible its value despite—rather than through—the many imagined interpretations of Holy Scripture. Studying the breadth of Scripture is literally foundational for the members of the household of God (Ephesians 2:19–22). We are to hear and read the words—words that can be parsed and put into context. We are to cling to the Word God has given us (Psalm 119:31) and give thanks for such an infinite gift. This is not because our grasp is so strong or our understanding so penetrating, but because with text God weaves us into Himself, teaching us while also breathing new life into us and equipping us with His gifts. From Blessed: God’s Gift of Love, pages 29–30, 33–34 © 2016 Concordia Publishing House. All rights reserved. 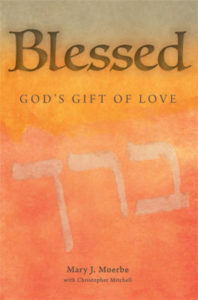 To order Blessed: God’s Gift of Love, please contact CPH at 800-325-3040 or visit www.cph.org.